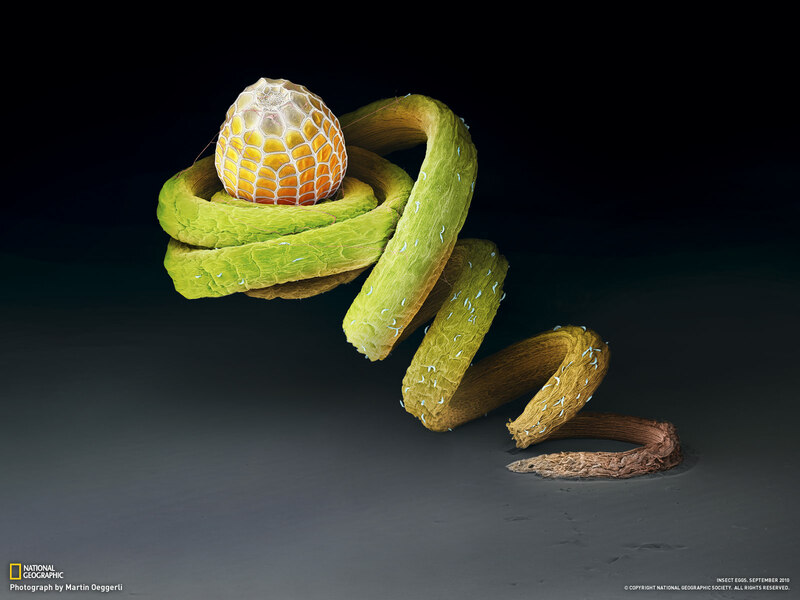 These electron microscope pictures are from a new series of photographs from national geographic, and the article can be found here. beautiful photos and amazing perspective from the article. Every so often, and against all odds, a group of insects has regressed a little and decided to care more actively for its young. Here and there we see the evidence. Dung beetles roll dung balls for their babies. Carrion beetles roll bodies. And then there are the roaches, some of which carry their newborn nymphs on their backs. The eggs of these insects have become featureless and round again, like lizard eggs, and in so doing also become more vulnerable and in need of care, like our own young. Yet they survive. Perhaps they are the vanguard of what will come next, the next kingdom beginning to rise. Though perhaps not. Recently I watched a dung beetle rolling a ball, and the ball looked like a rising sun. Above that beetle was a fly trying to lay an egg inside the beetle’s head. this is the type of distancing from the human condition I must do at least once a week. I truly have to think of myself as a small part of the big picture in order to appreciate the beauty of life. it’s so easy to get wrapped up in the drama of human life that one doesn’t get time to smell the insect eggs. or look tat them either. how amazingly beautiful they are too. and to think there are the parasitoids and hyper­parasitoids as well. All living together in some sort of cosmic dance. truly beautiful. thank you for this perspective I will try and take with me the rest of the weekend.